California summer: Blue skies (no clouds), dry grass. California winter: Complicated skies (crazy clouds), lush grass. 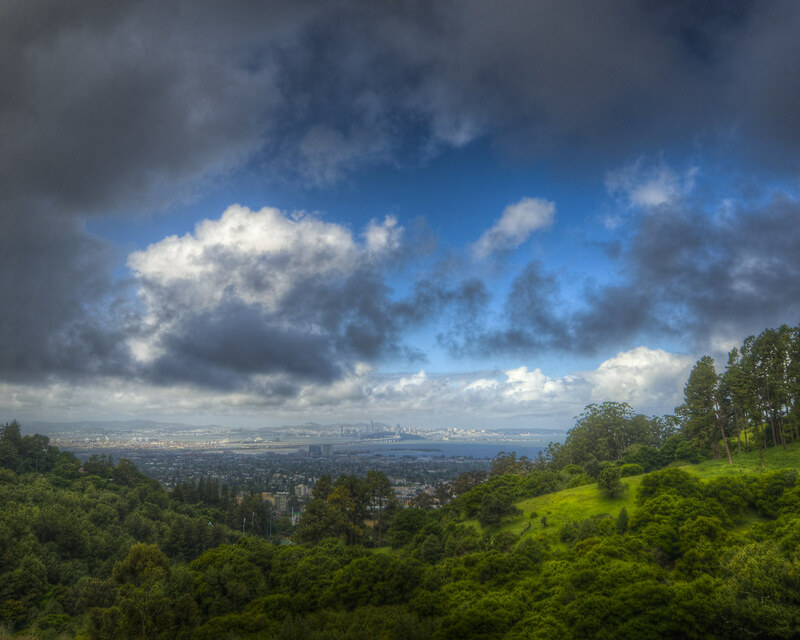 Looking across the verdant hills of Berkeley Lab to San Francisco, it’s not hard to see why I prefer the winter months in California.